IAG is reportedly in talks with the Spanish Government to create a contingency plan in the case of a no deal Brexit. This week a 585-page document detailing the proposed course of the split from Europe, however, IAG is planning for a no deal Brexit. As such, the airline parent company which owns Spanish flag carrier Iberia is intending to prove it qualifies as a Spanish Company. While the first thing that springs to mind when thinking of IAG is Britain, there is a case to argue that the group is Spanish. Along with British Airways, IAG also owns Irish flag carrier Aer Lingus, Spanish flag carrier Iberia, Spanish low-cost airline Vueling, as well as the new low-cost long-haul airline Level. Now, the corporate head office of IAG is located in London. However, IAG is a Spanish registered company. Indeed, this is what the group is using to negotiate its status as an EU country. EU regulations state that an airline must be at least 50 per cent owned an controlled by EU nationals to be classified as a European carrier. Ryanair believes that IAG could not survive Brexit in its current form. Ryanair, The Irish low-cost giant is operated using Irish aircraft under an Irish operators certificate. Despite this, the airline’s main hub is located at London Stansted. In contrast, English airline EasyJet has set up a European entity called EasyJet Europe. It has relocated almost half of its aircraft across to this Austrian airline. There have reportedly been no talks thus far regarding a no-Brexit outcome according to Chris Grayling, the Transport Secretary. With 131 days until Brexit, the talks need to start sooner rather than later for this to work out. It has yet to be seen whether the UK will agree to this week’s Brexit deal. The initial response from UK ministers appeared to be largely mixed with no clear majority. 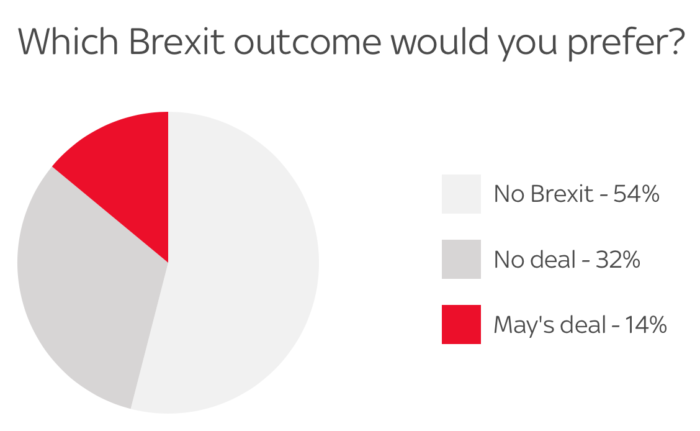 According to a Sky News poll released on Friday, 55% of Brits now believe there should be a second referendum on Brexit. Additionally, 54% believe the UK should no longer leave the EU. Do you think IAG will be recognised as a Spanish business? 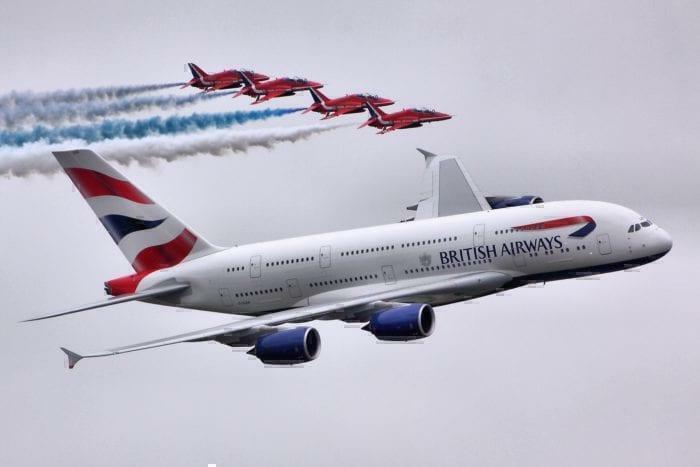 Will a no deal Bexit ground the UK’s Aviation Industry? Let us know your thoughts in the comments down below! I don’t know if IAG will become a Spanish company, but if they do, they MUST be banned COMPLETELY from landing at our airports. All UK-EU flights WILL & MUST be grounded in the event of a no-deal brexit. They have dismissed reports that UK-EU flights would be maintained in the event of a no-deal as ABSOLUTE NONSENSE & have instead, said that they would be grounded INDEFINITELY. They have even explicitly ruled out a bare-bones aviation agreement, even in the event of a no-deal brexit because they’re that fearful of the risks to the integrity of their single market. They will ONLY allow our aircraft to land at their airports in the event of a dire emergency. For those of us with far less knowledge than we’d like, why does Brexit matter at all? Great question! I do know the EU can do just fine without the UK. I’m not certain about the other way around. I predict there will be no change in BA operations. This is just a lot of buzz. Yep, just another venue for propaganda and scare tactics. the delivers she or he are certain to get varies from what I got.